Open Computing Language (OpenCL), which is created to support parallel programming of heterogeneous multicore-processor systems, has a very large potential for high-performance computing and consumer electronics since it provides application programming interfaces (APIs) to help make a portable code that runs across multiple devices. OpenCL is still under development, and it is not clear whether OpenCL has any advantages over other frameworks aside from portability. 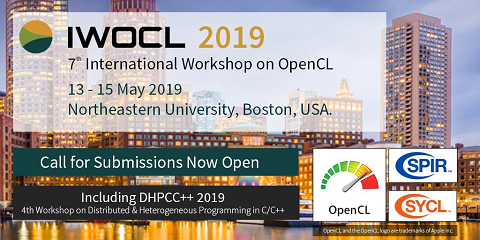 The purpose of our project was to define evaluation criteria, empirically evaluate OpenCL as a programming framework using evaluation criteria (e.g., performance, productivity, and portability criteria), define and implement parallel primitives in OpenCL, and demonstrate how the use of the implemented parallel primitives can have benefits for our target applications. Parallel primitive library APIs are defined to implement parallel algorithms in OpenCL, and a set of data- and task-parallel primitives is implemented and incorporated in the target applications. Multicore central processing units, the Cell Broadband Engine (Cell/B.E. ), and graphics processing units are used as target platforms, and digital TV applications are used to evaluate usefulness of OpenCL. Preliminary results show that parallel primitives can be one of the ways to improve application performance and programmer productivity with respect to OpenCL while still maintaining software portability.